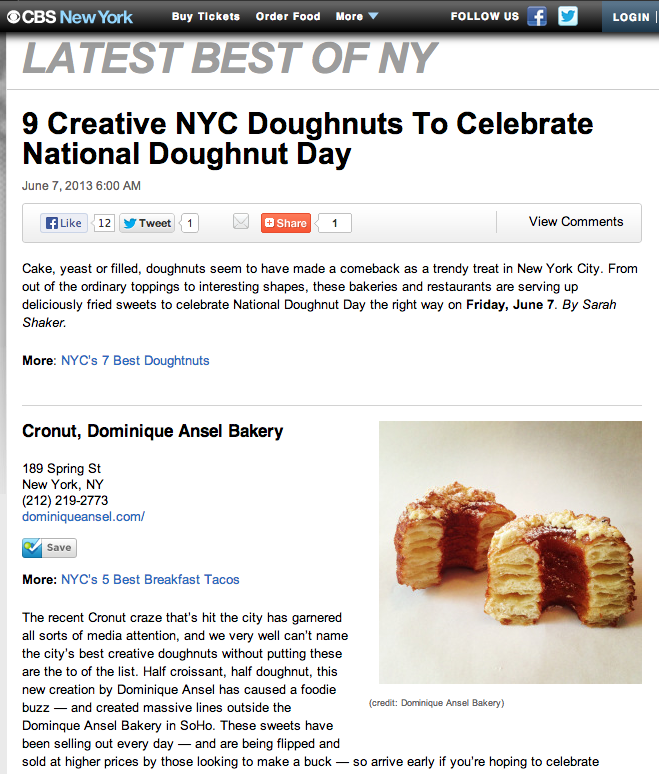 Cake, yeast or filled, doughnuts seem to have made a comeback as a trendy treat in New York City. From out of the ordinary toppings to interesting shapes, these bakeries and restaurants are serving up deliciously fried sweets to celebrate National Doughnut Day the right way on Friday, June 7. 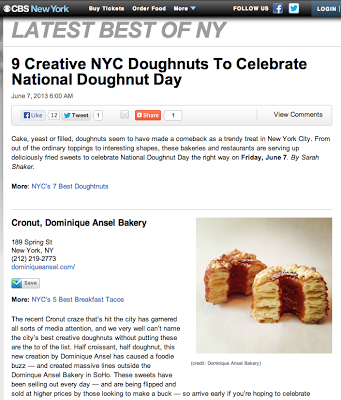 Check out CBS New York for my article on 9 Creative NYC Doughnuts To Celebrate National Doughnut Day for fun flavors and even some freebies!